Each year we run a special ‘Spoken Word London: Anti-Hate’ featuring SWL regulars speaking out against hate. This year, to celebrate 5 years of SWL we were awarded Arts Council funding to put together an Anti-Hate Anthology and organise our Anti-Hate Festival which will took place at the Bunker Theatre, London Bridge on the 10th and 11th of February 2019. The exhibition featured over 60 photographs taken over the last five years by our wonderful photographers: George Sydney Selwyn-Brace, Marie De Lutz, Laurie Poole, Lauren Marschall, Anthony Adams and Cathal Moran. Alongside the photographs there was video installation and five different sound installations to listen to, spanning the last five years of Spoken Word London. Some of the poets featured in the photographs appeared throughout the day to do an impromptu 5 minute performance of their work. This exhibition has been designed by the incredible Iris Colomb, who also developed our Ekphrastic Workshops to run alongside the exhibition. The book contains 56 poems, curated from over 300 submissions by Spoken Word London’s hosts Patrick Cash and Hannah Gordon. Associate editors include celebrated UK poet Dean Atta, veteran political poet Tim Wells and co-founder of Bad Betty Press, Amy Acre. The anthology has been rigorously edited and is divided into twelve sections challenging modern-day hate. 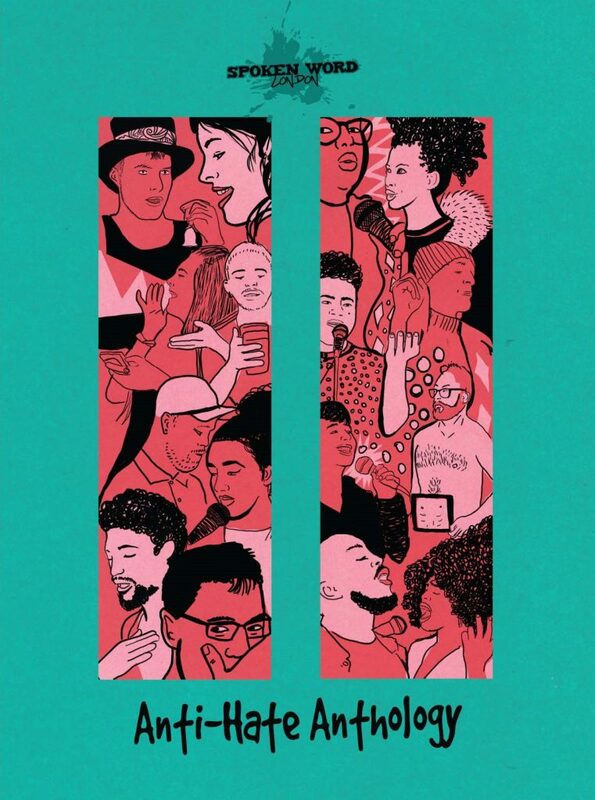 We are proud to have had the anthology endorsed by Amnesty International and featured on their website. Hosted by Patrick Cash and Hannah Gordon, featuring performances from the wondrous: Bethany Rose, Caroline Teague, Tyrone Lewis and more, plus an array of open mic-ers.